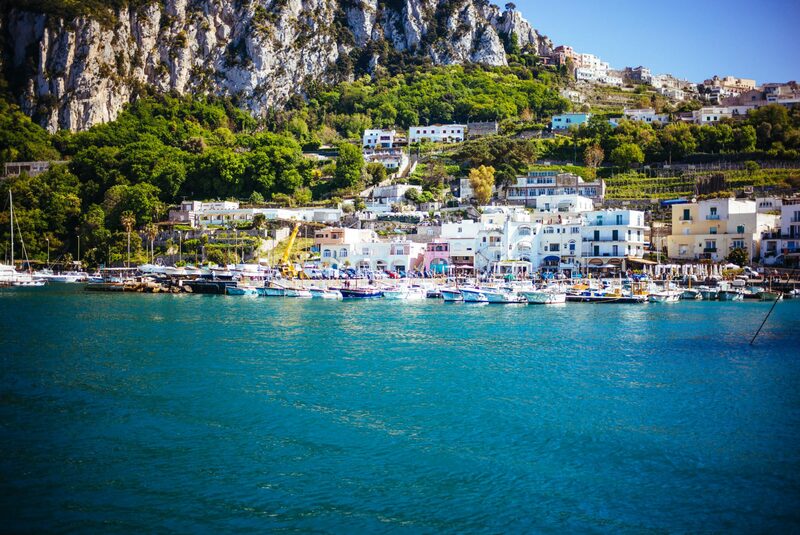 Capri is one of the most well-known islands of the Mediterranean and has long been a vacation destination for celebrities and tourists alike. It’s also a busy day-trip destination, and that’s why we decided to stay high atop the cliffs of Anacapri at the Relais & Châteaux Hotel Caesar Augustus. This serene location gives you the ability to relax during the day while the streets are busy and crowded, then go out, if you like, once the last boats to the mainland have left the port. 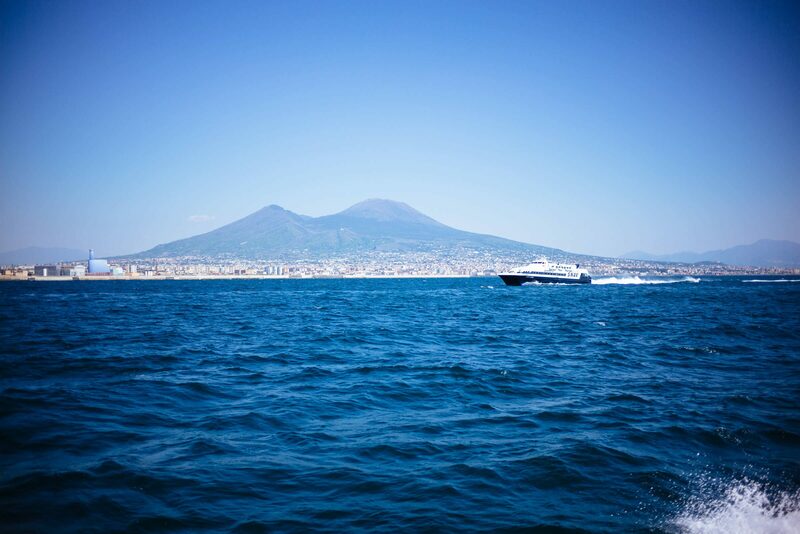 We arrived in the early afternoon after almost 24 hours of travel and were met in the harbor by the team from Caesar Augustus who escorted us to the hotel. Our luggage traveled to the hotel separately and arrived in our room before we did. Upon checkout, the hotel held our luggage so we could explore for the day, and it arrived at the dock about 15 minutes before leaving on the ferry. This is just one example of the attention to detail and impeccable service at this hotel. The views from the 300-meter cliff are breathtaking. Previously a private home, this magnificent building clings to the rocks high above the water and the busy town of Capri. Make sure you schedule some time to watch the sunset from your room or off the front terrace with a cocktail. The owners live on the property and you’ll see them around the hotel daily. Francesco knows the ins and outs of the hotel and clearly takes tremendous pride in making sure that your experience will be exceptional. Visit the cocktail lounge in the afternoon for an apertivo while listening to live music on the terrace. 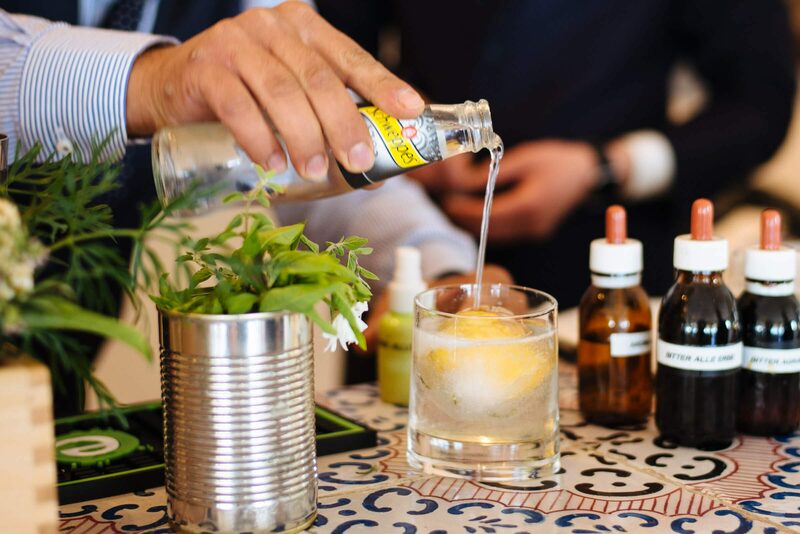 Head bar manager, Maurizio, has created a cocktail program that incorporates herbs and fresh seasonal produce from the garden. Some of our favorites included a lemon cocktail with fresh roses frozen in spheres, an Italian twist on the Bloody Mary, and a Lemon Thyme gin and tonic (recipe here). The hotel has a two-acre garden in the cliffside terraces. To reach it, follow the path down past the sauna (which uses fresh herbs from the garden to scent it), and wander through the beds of artichokes, fava beans, tomatoes, and rows of olive trees. Vegetables are picked daily and are used in the bar, restaurant, and at breakfast. Each morning, you’ll enjoy a beautiful spread of meats, cheeses, breads, savory dishes, and desserts overlooking their stunning double infinity pool. There was a bit of a cold snap during our visit, so it was a little too chilly for us to take a dip, but we can only imagine how the pool would be the perfect place to spend a hot afternoon looking into the Mediterranean sea! Visit the hotel’s restaurant, La Terrazza di Lucullo, for dinner at least once during your stay. They pride themselves in serving zero mile cuisine using their fresh organic produce. 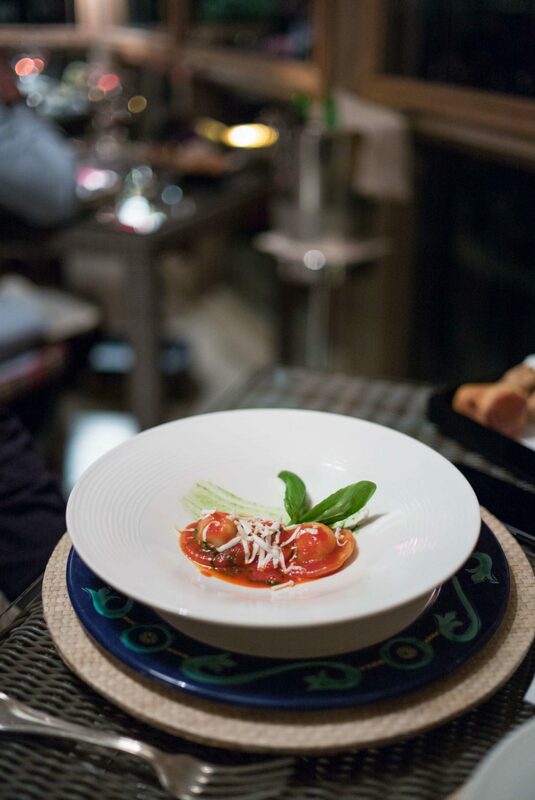 Chef Eduardo Vuolo creates traditional and innovative dishes including a classic Caprese pasta, fresh fish dishes, and one of our favorites, a pasta made with an artichoke cream. We loved the Hotel Caesar Augustus for its amazing service, fabulous food, beautiful views, wonderful staff, and luxurious accommodations. We were sad to leave (Francesco kindly offered to extend our stay), but this is one hotel we know we will return to. Thank you to Hotel Caesar Augustus for sponsoring this post.